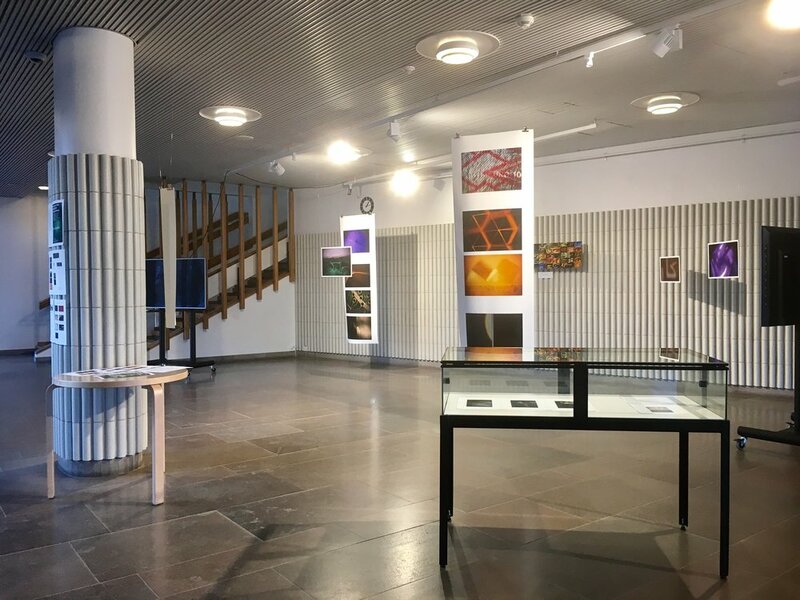 This exhibition presents works made by the students using microscopic lenses mounted to digital cameras, and images made with a confocal microscope (with the assistance of Jaakko Timonen, Assistant Professor of Physics). This course investigates the microscope and related light/lens technologies as tools for artistic image-making. It operates in a space between art and science by using “scientific” tools to make “artistic” images. Students will discuss what roles images play inside and outside of these disciplinary contexts and learn how complex it is to produce and read images, regardless of whether they are made as art, science, design, or something else entirely. Microscopic View: Experimental Light Images is a UWAS course led by Leah Beeferman and Jaakko Timonen from Applied Physics department in Aalto University. Exhibition 22.11-10.12.2018 with works by Tuija Ihanta, Alannah Kanowski, Fiona Småros, Hannin Alnimri, Aman Askarizadmasouleh, Topi Nieminen, Macarena Gutierrez-Reyes, Bastien Gautier-Soumis, Emmi Virtanen, Fereshteh Sohrabi, Sheung Yui, Shubhangi Singh, Tiia von Becker, and Timo Laaksonen.